Work relations and the struggle for workers’ rights have had a fundamental effect on the shaping of both Israeli and Palestinian societies, and the relations between the two. These include an estimated 100000 Palestinians from the West Bank who currently work in Israel, as well as the fact that the German and Israeli trade unions have laid the foundations for the establishment of German-Israeli diplomatic relations in the late 1950s. These are just a few of the issues the young trade union activists from the Hans-Böckler-Stiftung discussed during their delegation to Israel and Palestine. The Willy Brandt Center wishes to raise the awareness towards the role of trade unions and further strengthen relations between them. For this reason, we were delighted to welcome the Hans Böckler Stiftung, who over the course of 10 days visited many of our partner organisations such as Histadrut, Friedrich Ebert Stiftung Israel, HaNoar HaOved VeHaLomed, German Embassy Tel Aviv, the Palestinian General Federation of Trade Unions and many more. 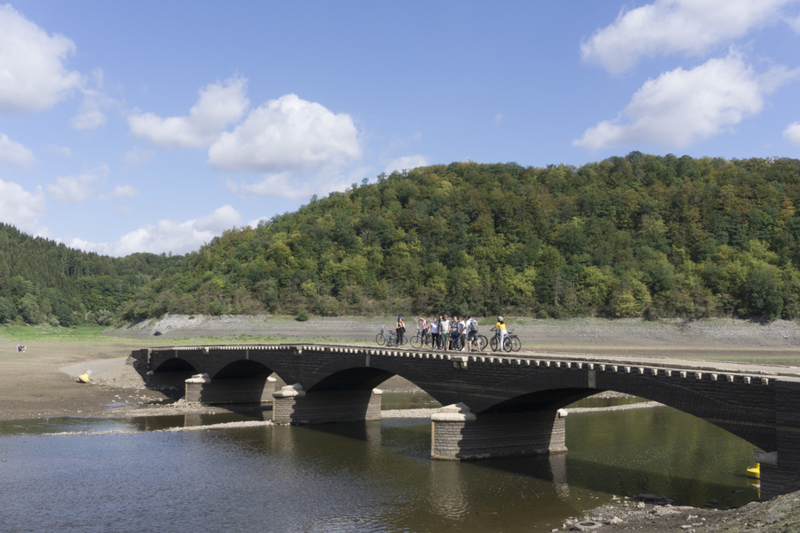 From the 6th to the 12th of August, comrades from the partner organisations of the WBC came together in a remote area of Edersee in the north of Hessen to a first of its kind WBC Political Summer Camp. 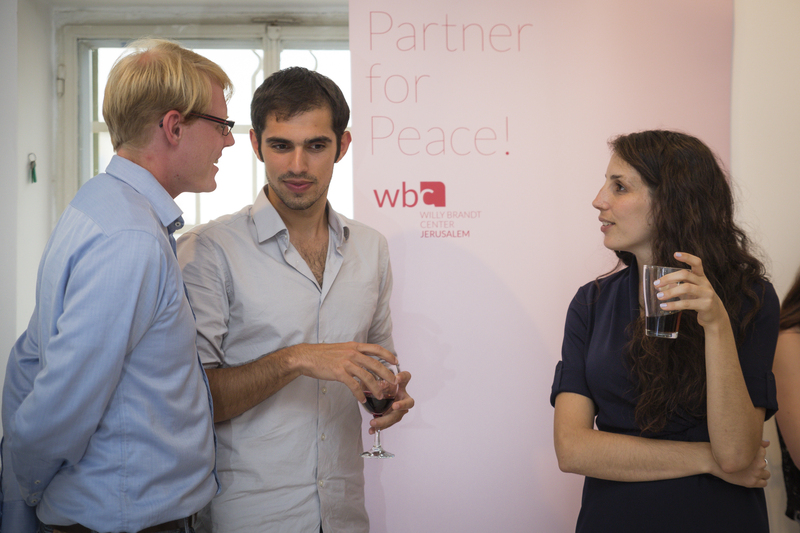 More than 50 young activists from Israel, Palestine and Germany came together to meet, get to know each other and learn more about their individual backgrounds and societies – and the conflict. 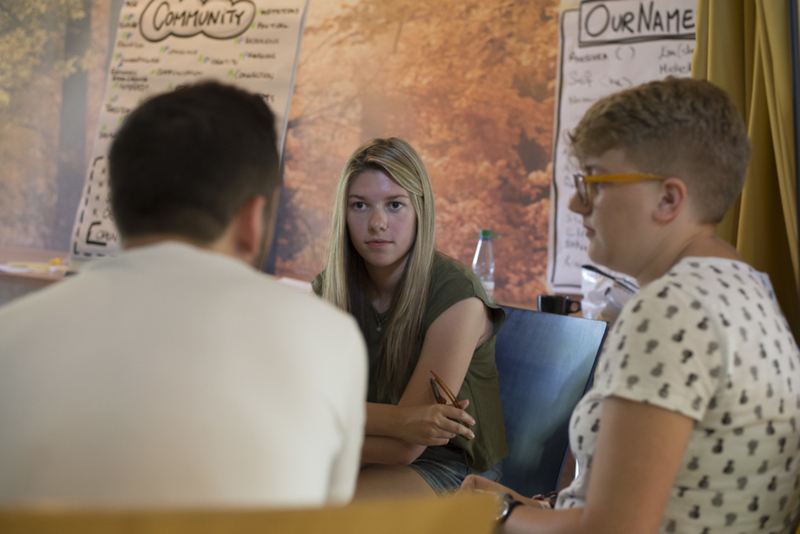 The general topic of the Summer Camp was “Community Organising”, aiming to explore the idea of organising within and around a community and political organisations, through socialist and social-democratic perspectives and topics. During a week of discussions within the Working Groups on Education, Gender Equality and Workers’ Rights, the participants had the chance to share and reflect on their societies and work within their movements. There was something that each and every one of us learnt during this week: There is not only one perspective, and only if you make yourself free from your prejudices and former experiences, are you able to learn and accept the perspectives of others and work together. Nevertheless, there were enough things to do: as well as the workshops, there was time for singing, dancing, doing sports, playing games – and sometimes time just to have a beer and a chat. In the reality we live in, meeting activists from different backgrounds is not by any means easy to organise, and the result was astonishing and empowering. 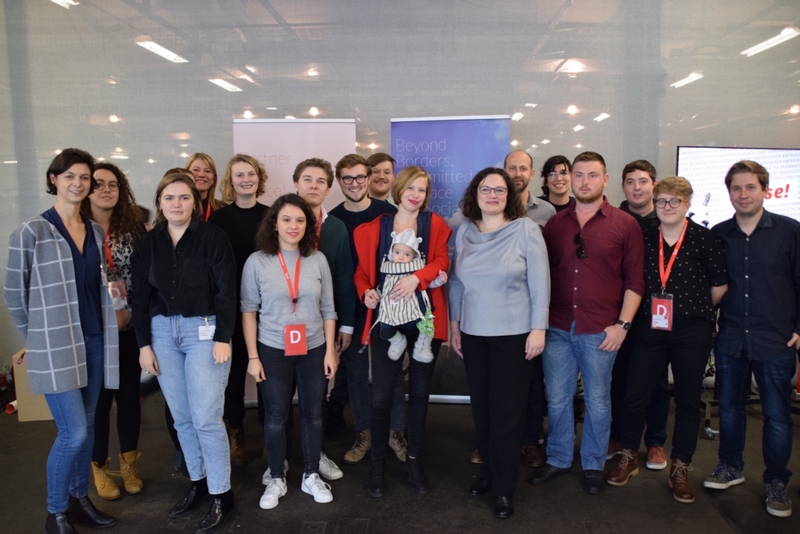 The week was a great mixture of learning – inside and outside of the workshops, having fun, making friends and ended with a lot of planning to meet again, to continue working together and dreaming of a socialist world. And eventually, during the week, we even managed to find a lake with water! The Summer Camp felt like the start of something new and it is our goal to take the spirit from this week, take it back to our movements and create more of these kinds of spaces within the framework of the Willy Brandt Center. 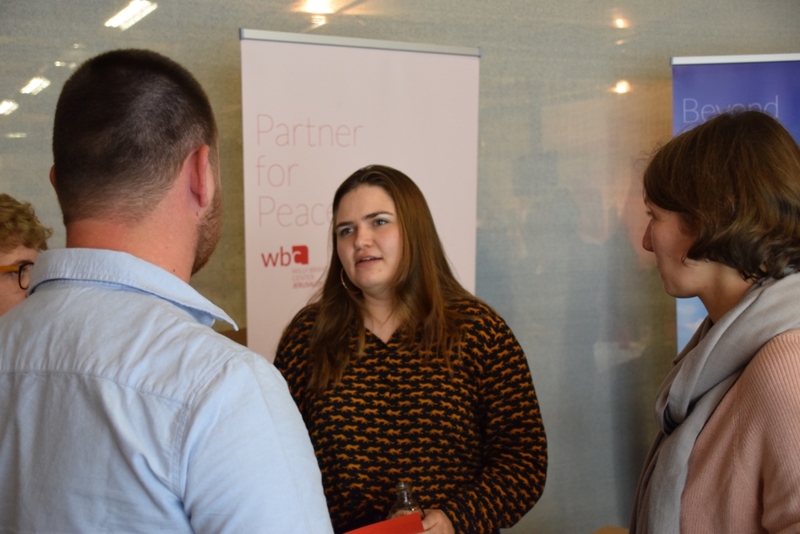 As part of a regular special exchange between young women social-democratic activists from Germany, Palestine and Israel, a Juso Women Delegation, travelled to the region in April to learn and exchange ideas with their counterparts in the Willy Brandt Center. 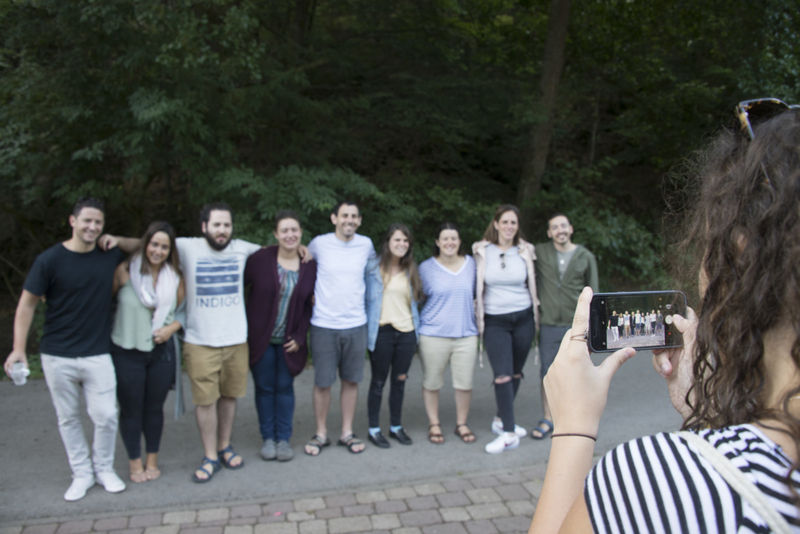 As part of this exchange, the activists met each other for a joint seminar in Givat Haviva. 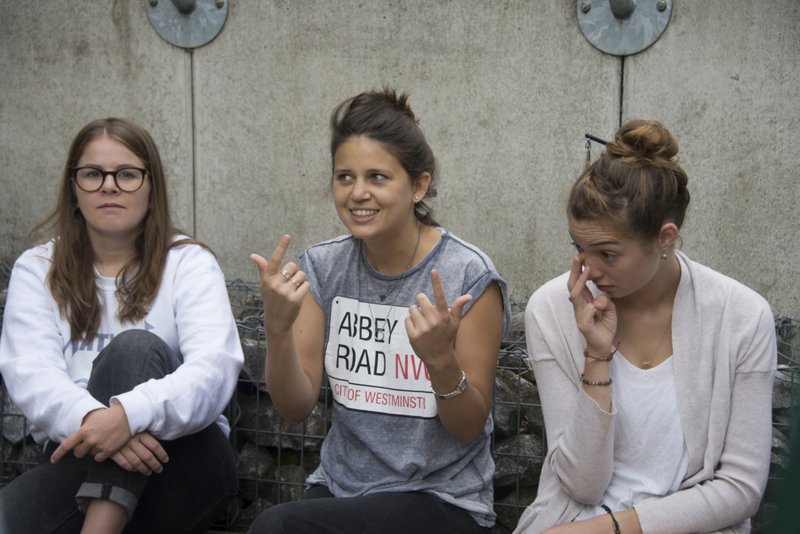 One of the Juso-participants share their experience with us, in the following report. On Friday noon, we travelled in a mini bus from Jerusalem to Kibbutz Givat Haviva, between Haifa and Tel Aviv, where we met the participants from our partner organisations. This was an opportunity for an intercultural and political exchange with women from our Israeli and Palestinian partner organisations. We checked in together at the Kibbutz and afterwards played some get together games in a larger seminar room. 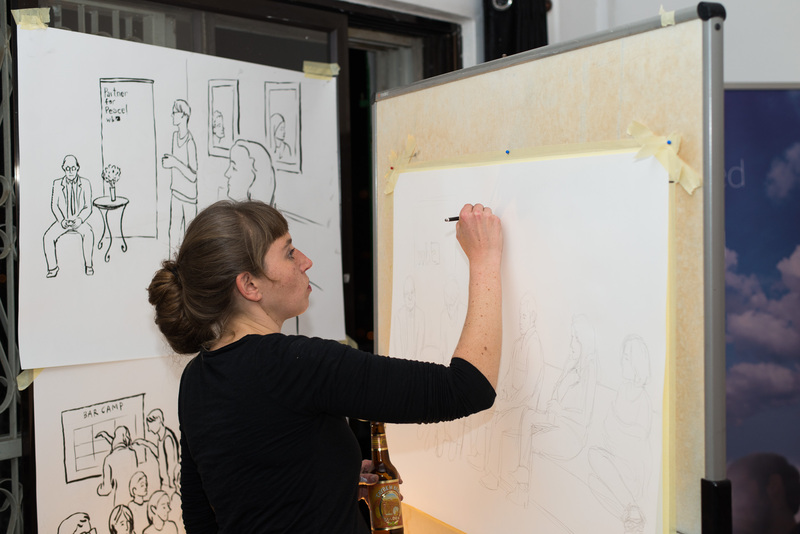 Just after that, we began with the first workshop phase which was a self-reflection: we were asked to visually outline the women in our families who had the most influence in our lives and made us what we are today. Then, we shared our family stories, especially those about women, in small groups. This activity helped us to learn how multi-facetted women’s roles within a family can be. Finally, we had a joint dinner and finished the evening in a relaxing atmosphere with some wine and other drinks. The Palestinian participants had to leave as they had to go to a family event. After breakfast on Saturday morning, we started with a detailed reflection about the past few days. As a next step, together with the Israeli participants, we started with some warm-up plays to get to know each other better. One of the Israeli participants provided us with information about what had happened the night before in Syria: the United States, Great Britain and France had bombed several buildings in Syria. She also told us that it was also possible to hear the bombing in several nearby Israeli villages and that it would not be possible to pass the border between Israel and Syria at the moment. Then we continued with a World Café containing three stations: The conflict today, feminist narratives and narratives on the conflict. In my group we discussed about how the Middle East Conflict had been dealt with at school and how the discourse about the conflict is perceived in Israel. 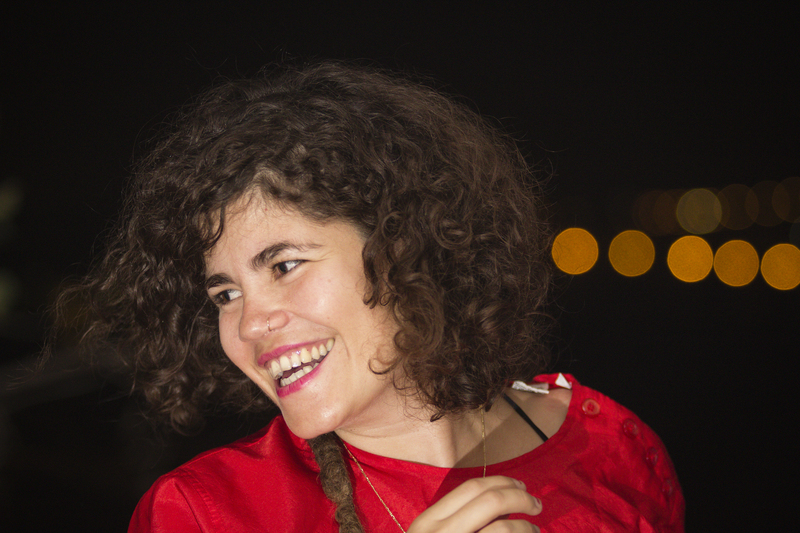 The Israeli activist in our discussion group, who lives in Jerusalem, says that she, compared to most Palestinians, can block out this conflict to some extent in her everyday life. 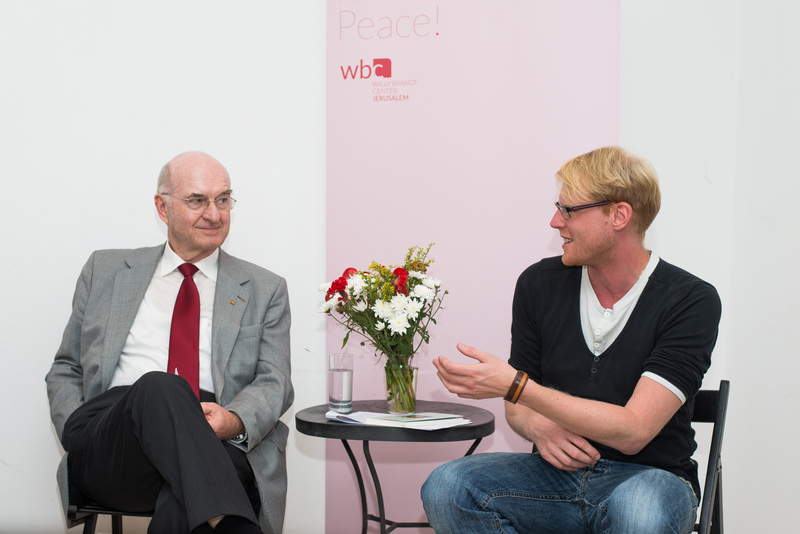 We also discussed why this conflict is present all around the world and why we as Germans are so intensely interested in this topic, even though we are not affected by it. Our Israeli comrade also mentioned that her grandmother, living in Frankfurt /Main, has the impression that many German left-wingers would generally be against Israel and she therefore did not consider herself as a left-winger. She also told us about her time in the army and that her partner (whom she got to know there) was stationed in the Gaza Strip. Later, we focused on Feminist narratives and talked about prostitution. This involved discussing whether prostitution should be legalized (like in Germany) or not (like in Israel). After the workshop, we said goodbye to our partners and continued our trip with the minibus to Tel Aviv. 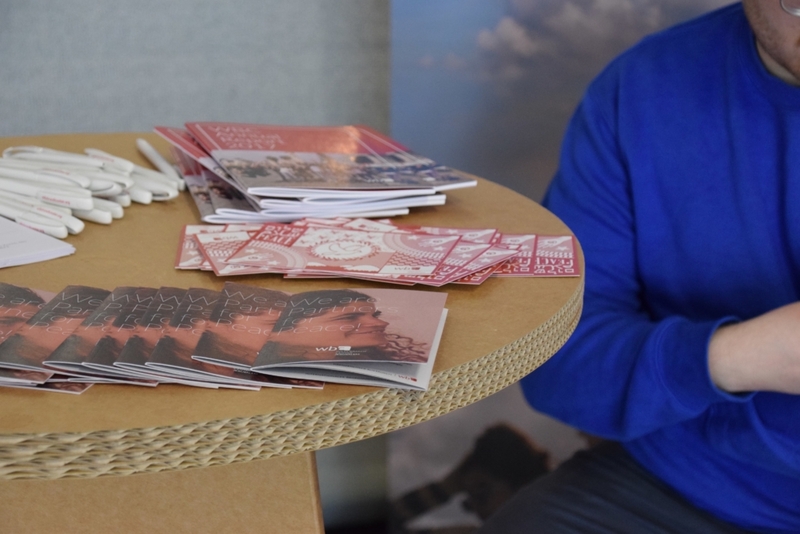 Trade unions take an active part in the mediating process between workers and employers, and strengthen workers’ rights vis-à-vis the state and in the framework of employment. Hence trade unions are uniquely equipped for the work of civil conflict transformation, fair negotiations and fighting social injustice. 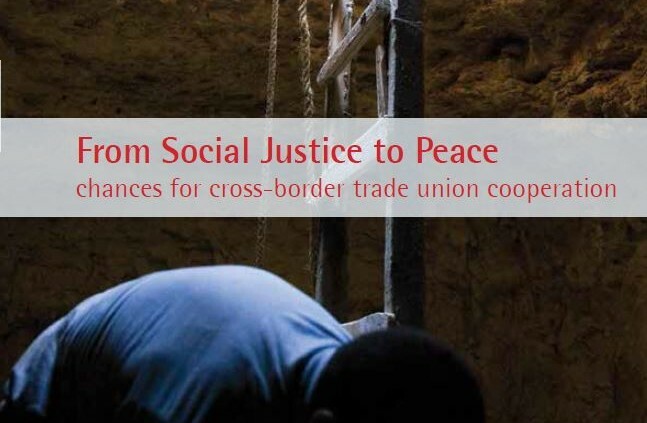 The publication “From Social Justice to Peace – chances for cross-border trade union cooperation” is produced with a grant provided by the Foundation for Social Society and Sustainable Development of the trade union IG Bauen Agrar Umwelt. It presents comprehensively the history and status quo of trade unionism in Israel and Palestine. Two representatives from the respective societies describe the interconnection of workers’ rights beyond borders and highlight potential fields of cooperation, thus fostering inclusive activism for a peaceful and just future. 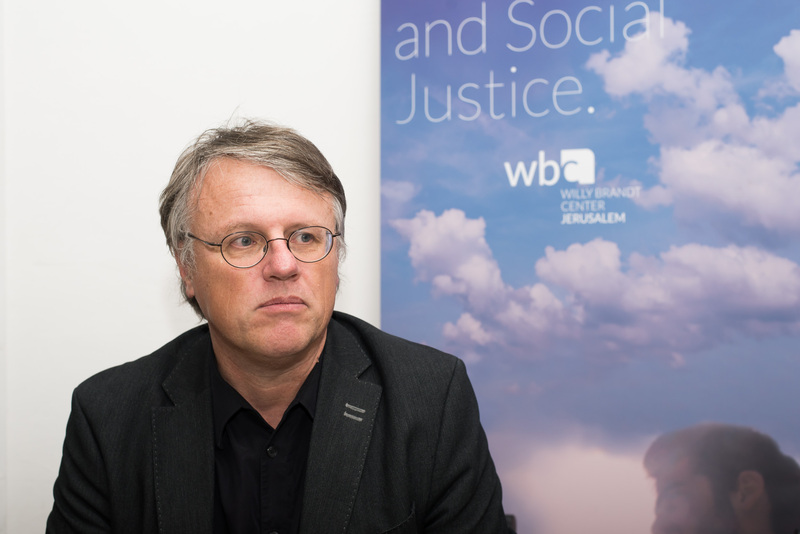 It were difficult times as activists and officials from Israel, Palestine, Germany and over the world gathered in Jerusalem for Willy Brandt Center’s Annual Conference. The headline “Two Narratives – One Future” was more current than ever before in 2015. Facing the outbreak of violent clashes and terrorist attacks in both Israel and Palestine it became very clear that there are huge differences between the perceptions of the recent events. This needed to be of course reflected within the agenda of the Annual Conference. The trilateral organization team took a lot of effort to adapt the planned workshops and discussions to the current situation. After the informal Get-Together on Friday evening in the Willy Brandt Center the conference began on Saturday with an expert input on the developments on Temple Mount/Haram as Sharif. Afterwards the participants reflected on how different recent events are shown in the Israeli and Palestinian media and discussed reasons for it. 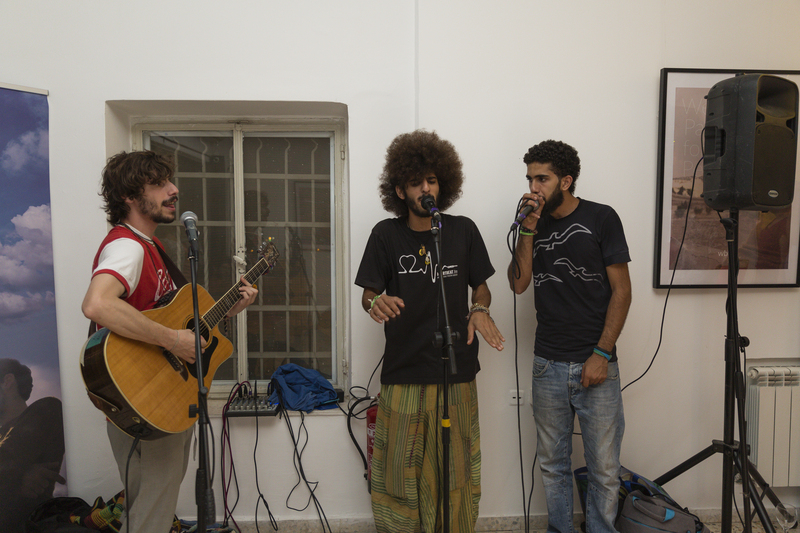 In the end workshops about social struggles worldwide were held with the question how people in Israel and Palestine can relate to it and what can be learned for the own activism. The history of political youth exchange between Germany and the Middle East dates back longer then the official establishment of the diplomatic relations between Germany and Israel 50 years ago. 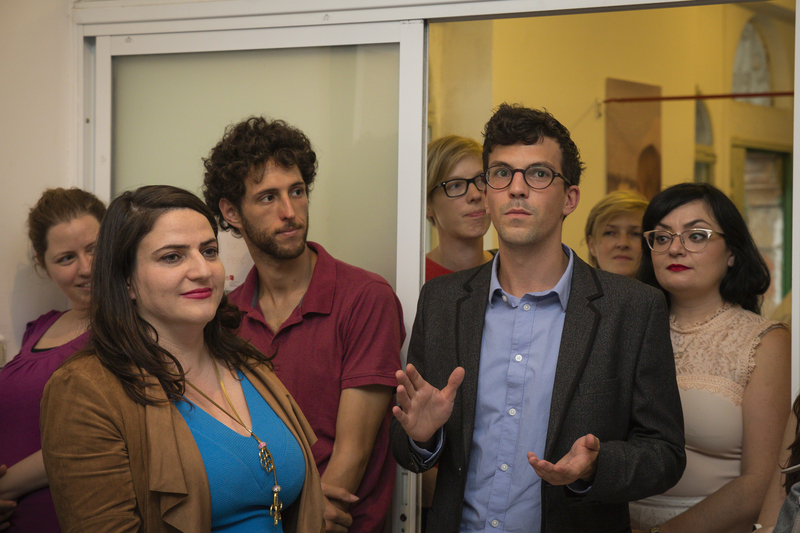 On occasion of this anniversary the Willy Brandt Center Jerusalem hosted a BarCamp to take a closer look how the relations evolved that lead to the trilateral ties between young Israeli, Palestinian and German political activists. The BarCamp opened a space for direct and non-formal exchange. Therefore Willy Brandt Center invited representatives of three generations of political youth exchange: The generation of pioneers from the 60s and 70s, the generation of Oslo in the 80s and 90s and the generation of today enhancing an exchange of knowledge between all of them. The generation of pioneers was impressively represented by Walter Haas a trade-unionist who came to Israel the first time in 1962. Because his visit happened before official relations were established it was very hard for him to travel. But despite the obstacles it was his fascination about socialist and collective ways of living together that made him travel anyways. He was willing to face the hard task to come as a representative of the people who committed the Holocaust to the jewish people. But the aim to build a better future gave him a continuous motivation to go on with his idea. Luckily he found partners that welcomed him and were willing to visit him in Germany. This visit and the return visit one year later laid the foundation for the political youth activities in the Middle East. The generation of Oslo faced new challenges in their relation with each other. The conflict between Israelis and Palestinians went after the war of 1967 into a new stage, since the occupation of the West-Bank began and the PLO was pushing from outside Palestine towards an independent state. This debate was reflected in Europe and Germany by a political division with people taking side for either the Israeli or the Palestinian cause. 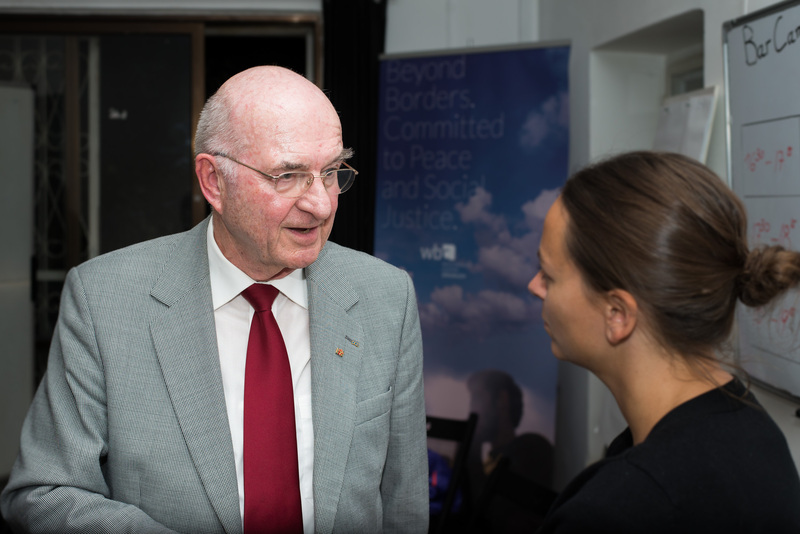 In the light of the upcoming Oslo agreements some key actors in the political youth movements like Harald Schrapers took an important step by creating the idea of double solidarity. A double solidarity with both the legitimate needs of the Israeli and the Palestinian people to live in an independent state, with an equal life in peace and security with the chance of economic prosperity. In times when real peace was very close this principle helped to engage a trilateral dialogue between Israelis, Palestinians and Germans. For political activist that are representing political youth movements today like Johanna Uekermann and Uri Keidar the trilateral idea of the 90s became reality. It is a guiding idea to address the complicated situation we are facing in the Middle East today. Even though current developments make a direct exchange hard from time to time, activist of today are convinced of the added value the dialogue across the borders has. They see it as their task today more than ever before to bridge the gaps that are dividing people. Because if there is one lesson to learn from the past it is that real peace can be reached not by dividing people but only in a cooperation that unites people for the struggle for liberty and equality. 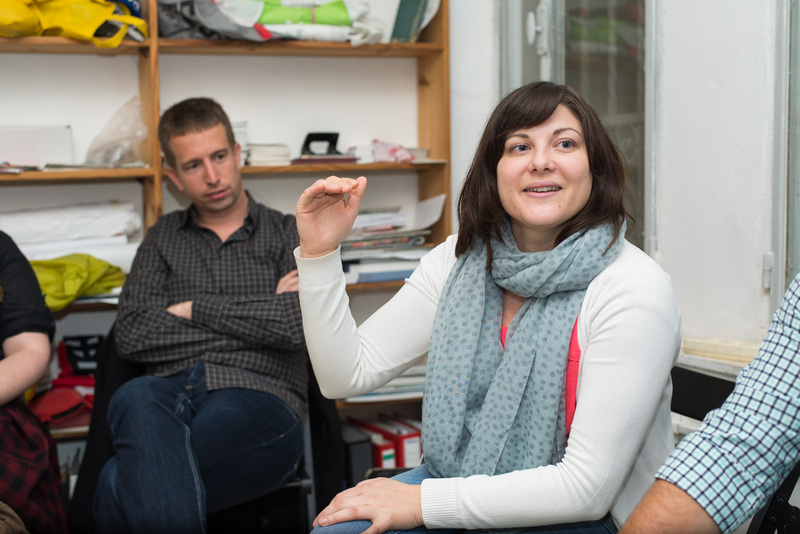 On occasion of the 50th anniversary of the establishment of diplomatic relations between Germany and Israel” Willy Brandt Center invites you to take part in a BarCamp on political youth exchange between Israel and Germany. A BarCamp is an interactive form of presentation, in which you as participants decide how to shape this event. Invited are witnesses and activists from Israel and Germany – the pioneers of the first encounters in the 60s, activists of peace movements at the time of the Oslo negotiations and young people, who represent the political spirit of the new generation. Together we will to initiate a dialogue between cultures and generations! Die SPD-Fraktionsspitze hat das Willy Brandt Center besucht. „Für einige Gäste aus Deutschland ist es ein Wiedersehen“, berichtet Die Welt aus Jerusalem. „Der Gang auf die Terrasse aber begeistert die alten Bekannten ebenso wie diejenigen, die zum ersten Mal hier sind. Das Willy-Brandt-Center in Jerusalem bietet einen weiten, faszinierenden Blick auf die Altstadt, auf Felsendom und, auf dem Ölberg, die evangelische Himmelfahrtskirche. Thomas Oppermann ist am Mittwochmittag mit 13 seiner Kollegen zu Gast im Willy-Brandt-Center. Im Jahre 1996 hatten die Jugendorganisationen der SPD, der israelischen Arbeiterpartei und der palästinensischen Fatah einen entsprechenden Vertrag unterzeichnet.“ Später sei auch der Nachwuchs der Meretz-Partei hinzugestoßen, notiert Daniel Friedrich Sturm.